From balanced lifestyles to diet and skin – getting it right brings lasting harmony. Fortunately, the veritable treasure trove of plant extracts found in our Balancing range have got skin covered. Together they work to clarify, brighten, hydrate, soothe and nourish oily and combination skin. 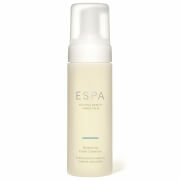 I bought my first espa product at a spa in Ireland .It is perfect for my skin type.. I have used many products in my life time but I will never buy any other now. I am excited to try other products from this line! Love this collection so much, smells amazing, feels great on my skin and keeps my oily skin under control. Brilliant advent. Beautiful products (and a candle which smells divine). I am a convert to espa and after trying the small products, I am purchasing the larger versions. Natural and highly effective products. Highly recommend. This gift has everything you could need for a full skincare routine, and makes a noticeable difference to oily skin - fab!